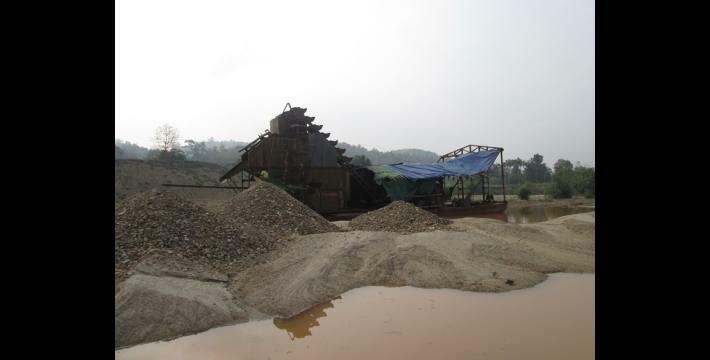 This Situation Update describes events occurring in Dwe Lo Township, Hpapun District during February and March 2014, including negative impacts of gold mining and concerns expressed by local villagers regarding education and healthcare. 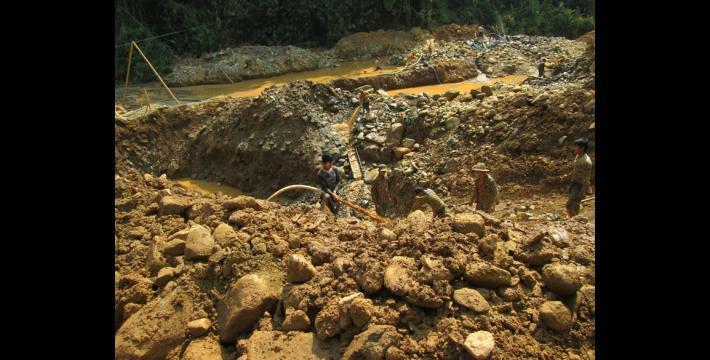 Residents of a number of villages in Dwe Lo Township reported problems associated with gold mining projects, including the confiscation and destruction of agricultural land and river pollution, all of which have had a negative impact on livelihoods. Villagers reported difficulties in securing education for their children and healthcare, due to prohibitive costs. A lack of services near more remote villages and the presence of multiple armed actors presented further barriers to accessing healthcare. The following Situation Update was received by KHRG in July 2014. It was written by a community member in Hpapun District who has been trained by KHRG to monitor local human rights conditions. It is presented below translated exactly as originally written, save for minor edits for clarity and security. This report was received along with other information from Hpapun District, including five interviews and 186 photographs. 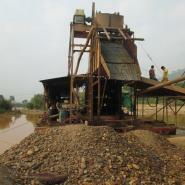 During 2014, we have still had human right abuses in Dwe Lo Township, Mu Traw [Hpapun] District. 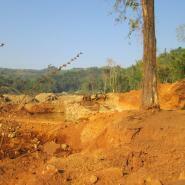 The most [serious] human rights violations are land confiscation and [issues related to] gold mining projects. In Mu Traw [Hpapun] District, Dwe Lo Township, most of the civilians are [flat field] farmers and hill farmers. 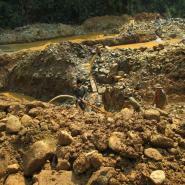 The civilians have faced many difficulties because of gold mining projects and their land has been confiscated without any payment. 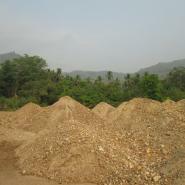 Some of the villagers do not have their own land tittle so their land has been confiscated by the government. Villagers cannot do anything about this. The villagers planted betel nut trees and betel leaf vines on farms and plantations but all their plants were destroyed. 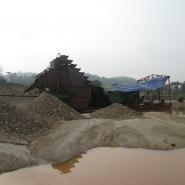 Some villagers said that in the future it will not be easy [to sustain] their livelihoods, and moreover their children will also face real difficulties in the future because of the gold mining projects. The villages near these projects have been facing water pollution problems. Their cows and buffalos do not have any pasture and cannot get fresh water so some of them have died. 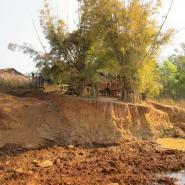 The villagers who live near the river bank are suffering because the land has been destroyed by erosion. 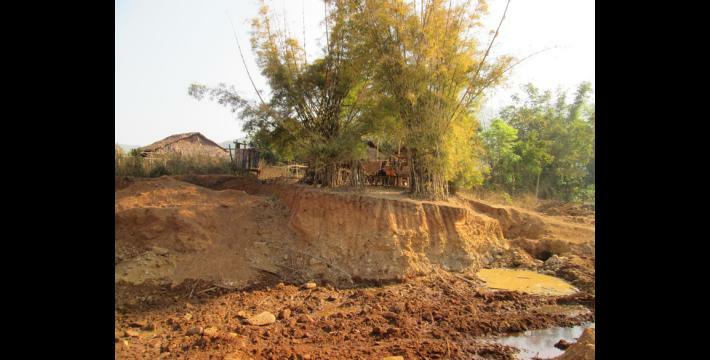 For example, in D--- village, Waw Muh village tract, Dwe Lo Township, Mu Traw [Hpapun] District, villagers are suffering because a gold mine has been dug in the Buh Loh River. 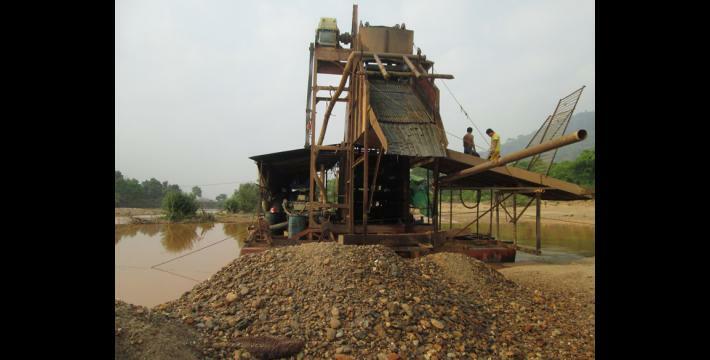 This year the [Chinese] gold mining company started to dig a mine in the second month of 2014 in A--- village, Ma Lay Ler village tract, Dwe Lo Township, Mu Traw [Hpapun] District at the Mee Th’Roo Poh River. They destroyed the land near to that river and the company workers did not allow the villagers who live near the river to pan for gold. They said that if they wanted to pan for gold to go and ask the head of the company [for permission]. 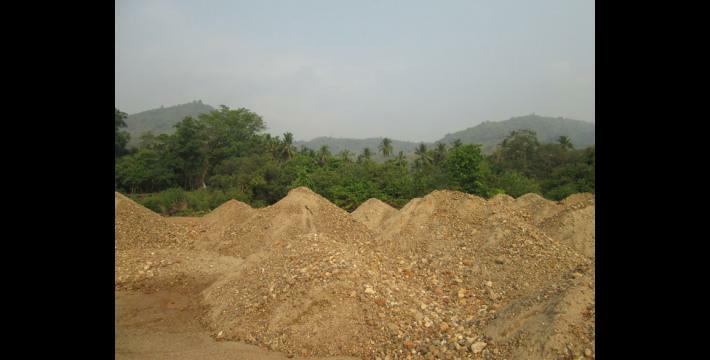 The villagers are not willing to ask the head of the company, therefore they cannot sustain any of their livelihoods from panning gold and this has caused problems, but most of the villagers are hill famers. 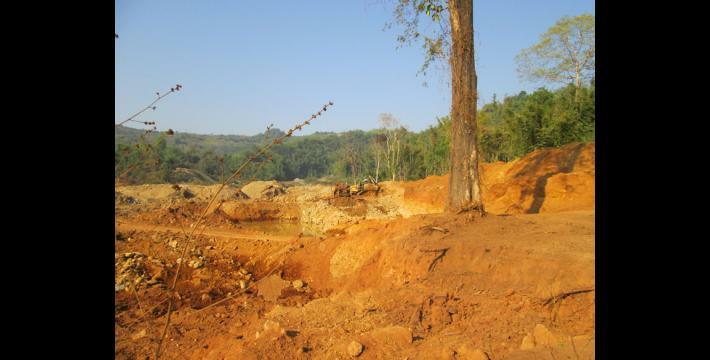 This is the situation in the areas in which gold mining projects have taken place and destroyed the land and living places of local villagers. In Mu Traw [Hpapun] District, Dwe Lo Township, most of the children and young people are seeking education as they want to improve their standard of living to bring it more into line with international [standards]. In the areas where gold mining is happening, some parents cannot send their children to school because they don’t have sufficient livelihoods [due to the negative impacts of gold mining]. For example, in Mu Traw [Hpapun] District, Dwe Lo Township, Ma Lay Ler village tract, A--- village, each student studying in primary school has to pay 80,000 Kyat (US $80.56) in school fees so the parents have faced problems sending their children to school. Some parents don’t have enough income to send their children to school but some parents who have a good income can send their children to school. And also there are no high schools nearby so some students went to study in the city and some went to study in refugee camps. Wha Hka clinic is located in Mu Traw [Hpapun] District, Dwe Lo Township. The most difficult [health issue] that the villagers have been facing is malaria. The villagers go to hospital to get medicine when they feel sick, but some villages are not close to the hospital so they go and get medicine from shops. Some villagers cannot buy medicine so they are using traditional medicine and some villagers are going to city hospitals. Some women face breast cancer but they don’t know how to protect themselves. Also some are living close to [areas under the mixed control of different armed actors] so there is no one who will come and give health education workshops in the area. This Mu Traw [Hpapun] District, Dwe Lo Township Situation Update covers the civilian situation, education and healthcare. The villagers expressed their feelings when we went to the field. In order to increase the transparency of KHRG methodology and more directly communicate the experiences and perspectives of villagers in eastern Burma/Myanmar, KHRG aims to make all field information received available on the KHRG website once it has been processed and translated, subject only to security considerations. For additional reports categorized by Type, Issue, Location and Year, please see the Related Readings component following each report on KHRG’s Website. A cubit is a standard measurement for the length of bamboo poles, commonly referred to in Karen as the length from one’s fingertips to one’s elbow, about 45.7 cm. or 18 in. All conversion estimates for the kyat in this report are based on the October 15th official market rate of 993 kyat to the US $1.